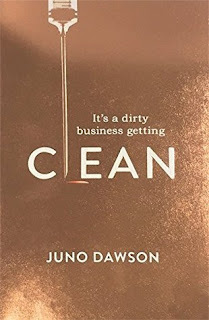 When I was reading Clean by Juno Dawson I was desperate for a soundtrack. There's something about the story, especially the scenes when Lexi is in London, that just begs for a beat behind it. I've been listening to music more as I read, so I teamed up with Aoife at Pretty Purple Polka Dots to create a playlist. In the past we've teamed up to do a fan cast of Candy by Kevin Brooks and we'd planned to do a fan cast of Clean, but the rights were snapped up before it was even published so we're crossing our fingers and leaving the casting to the professionals. The struggle to not just have it all CHVRCHES and Halsey for my contributions was unreal. Sounds like you’re having a great time while you read 🎶 📚 I think this is a rocking playlist, I love CHVRCHES, Birdy & Clean Bandit so I’d def be listening to this list! This book sounds quite interesting too, I’d give it a read if I found a digital copy. This is a great playlist and I think it would go brilliantly with the book. I read Clean last week and just loved it! This book sounds incredible, and that playlist is incredible! Ooh I've not heard of this book but it sounds interesting. I can't read and listen to music at the same time, I get too easily distracted haha!